Teaching is a tiring, often thankless job. You work long hours, face immense pressures, and often invest your own salary back into the classroom. But your efforts and dedication to our children have not gone unnoticed. We want to thank you for all that you do, both in the classroom and on your own time, to ensure the success of all children. You press on far beyond the school bell that signals the end of the day, and you serve as tutors, mentors, and coaches during evenings and weekends. From all of us—the students, families and school administrators that make up the PTA—thank you for your commitment to building strong family-school partnerships and to making every child’s potential a reality! In honor of your service, we have dedicated the first full week of May to you—PTA Teacher Appreciation Week—and encouraged your students’ families to express their gratitude for the sacrifices and support you offer each and every day. We have also devoted the April/May edition of Our Children magazine to you and created special teacher-focused Pinterest boards with ideas for fun classroom activities and creative lesson plans. If you are an avid pinner, we invite you to join a community of teachers pinning their favorite activities to the National PTA Pinterest boards. If you are interested, please send your Pinterest user name and a link to your boards to socialmedia@pta.org. We cannot wait to see and share the many ways that you help your students learn and develop as well as improve their health and safety. Thank you again for caring for, believing in, and inspiring students and their families year-round. You truly are building our children’s tomorrow in Today’s PTA! 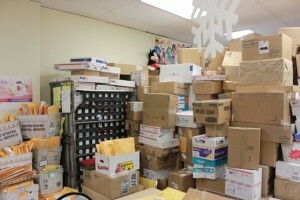 Following the tragedy in Newtown, Ct., Connecticut PTSA, with the support of National PTA, offered individuals a unique opportunity to let the students of Sandy Hook know that an entire nation supports them. 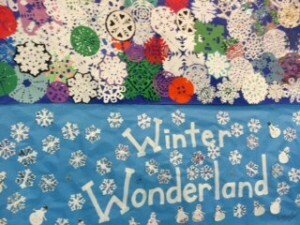 The concept was simple: individuals were invited to send snowflakes of all shapes and sizes, and PTA volunteers would use those snowflakes to welcome students to a winter wonderland at the new Sandy Hook school building. 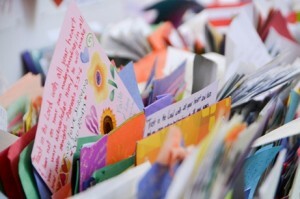 In January, I had the tremendous privilege of witnessing the flood of love and goodwill from around the world. Snowflakes poured in by the truckload, in an overwhelmingly touching display of solidarity of parents around the world, as they came together to show their support for the victims of this horrible tragedy. During my visit to the community, I was honored to share in the experience of opening the letters and seeing the snowflakes sent in by those wishing to demonstrate their love for the Newtown families. The outpouring of support and the number of participants was inspiring – the Connecticut PTSA received so many snowflakes that they did not have the office space to accommodate them all. They have hung as many as possible in the school; the rest were used to decorate other schools in the community. The experience was indescribable and completely awe-inspiring as the entire world surrounded this community in its time of need. Though Connecticut PTSA is no longer accepting snowflakes, the message of Snowflakes for Sandy Hook should not be forgotten: we must continue to rally together in support of all of our children, in good times and in bad, to ensure their success in the future. 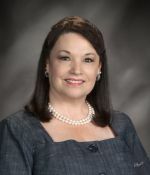 Betsy Landers is the President of National PTA in Alexandria, VA.
Second image courtesy of Lifetouch National School Studios Photography. The Common Core State Standards represent the single most important step towards raising the achievement bar for America’s students and improving academic performance. Unfortunately, the standards have come under fire lately by those seeking political gain and suggesting the standards are a federal government take-over of education. Nothing is further from the truth! The Common Core State Standards were developed by educators based on proven research and they are widely-supported by both teachers and the general public. The Denver Post reported last week that 40 percent of Colorado’s students need remediation before achieving college-readiness. Across the country, employers report that students are not graduating high school with the math and reading skills needed to be employable. Remediation courses are expensive, often adding significant time and cost by way of excess courses to the college track, prolonging graduation date. Research shows that nearly 50 percent of all undergraduates and 70 percent of all community college students enroll in at least one remedial course – and for students who begin in remediation, fewer than 10 percent graduate from community colleges within three years and fewer than 40 percent complete a bachelor’s degree within six. For students who are not college-bound, remedial courses increase the amount of time before a student can enter the workforce and become a productive, tax-paying member of society. And parents, government, and student foot the bill for this added time and expense. The Common Core State Standards create a set of benchmarks that, when implemented successfully, ensure students are prepared for college and future career. The standards seek to ensure that no matter where a child lives —mountainous Colorado, rural Kansas or urban Washington, D.C. — – he/she will be held to rigorous academic standards, end each school year well-prepared to enter the next grade, and graduate high school with a skill set matching the needs of a 21st century economy. This consistency should be a comfort to every parent, especially in our increasingly mobile society. 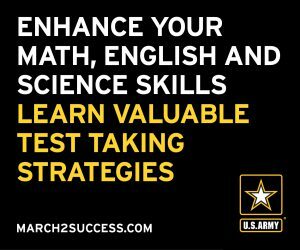 How many of us have been forced to relocate – for a job, a military assignment – only to find our child simply isn’t on track to succeed in his or her new school? States have always set their own standards, and voluntary adoption of Common Core is no exception. Upon reflection of the successes and failures of No Child Left Behind, it was evident that many states, when forced with assessing “hard to teach” populations to comply with federal accountability measures, simply dumbed down the standards to boost student performance rates. This phenomenon resulted in a “race to the bottom” and high school graduates ill-prepared for college or for career.. While Common Core standards represent an improvement over most state standards prior to adoption, other states, such as Massachusetts, have implemented the standards while also maintaining rigorous benchmarks above and beyond the minimum set by Common Core. Additionally, other states, like Virginia, developed and implemented their own college- and career-ready standards. Virginia’s Standards of Learning, first piloted in 2002, have been judged by the US Department of Education to be closely aligned with college- and career-readiness benchmarks. Some critics have voiced concerns that adoption of the standards will lead to stifled creativity and autonomy of individual teachers, ultimately dictating lesson plans and all curriculum. PTA would never encourage monolithic classrooms, and we do not subscribe to this concern; we know that every teacher’s unique experience, instructional style, and curriculum alignment contribute to a positive and productive learning experience. While the Common Core State Standards define WHAT students will learn, the standards do not dictate HOW students should learn the material, or how teaching professionals should teach it. Each state and district will still write its own curriculum and determine how teachers work with their students and families to achieve the benchmarked learning goals, matriculate successfully, and graduate on-time. Change is never easy, and as with any transition, this monumental shift to a new set of academically rigorous standards and aligned assessments will be accompanied by hurdles and challenges. Some challenges will be shared, others will be unique as states and districts all tackle implementation while adapting to meet the unique needs of students and families. PTA has never taken the easy road, we advocate every day for the BEST road; the road that leads every child to success in school and in life. We understand that any change in education can seem scary. But before you push back, we urge all parents to become familiar with the standards and the new state assessments under development in order to fully understand how the standards will improve education for all students. PTA members should work to educate other parents, regardless of PTA membership, on the benefits of Common Core State Standards and academic benchmarking. National PTA has developed a robust set of resources for parents, educators, and policy-makers, and I encourage all of you to familiarize with the parent-friendly guides to understanding the standards and state-specific assessment materials. Teachers, principals, and administrators – the ones in whose care we entrust our children day in and day out – overwhelmingly support the Common Core Standards. Sadly, the progress made toward college- and career-readiness is now being bogged down by politics and a fear of change. It is vital that PTA members speak up and stand up for Common Core by supporting teachers who are working hard to apply the standards in their classrooms. Family engagement is critical to succeeding in this battle, as it is in any fight for the education of our children. Teachers, administrators, and state legislators need to know that PTA will not be divided by political rhetoric, but will stand together, as one voice advocating for the success of every child. Over the past few months, National PTA has been increasingly committed to ensuring that schools are safe for our children. We have targeted school safety and gun violence prevention as part of our advocacy agenda and have made a concerted effort to engage communities on ways to promote a safer school climate. At the National PTA Legislative Conference this past March, we named improving school safety a top advocacy focus. At the conference, we hosted our first school safety town hall forum in partnership with the U.S. Department of Education. We were honored to have Assistant Secretary of Education Deborah Delisle and an esteemed panel of school safety experts join us to address PTA member questions. Following a rich discussion and positive member feedback, National PTA and the U.S. Department of Education hosted a second school safety town hall with Secretary of Education Arne Duncan in Baltimore, Md. to continue this critically important conversation. As we continue to reassure our children that school is a safe place, it is imperative that our children know that we are sincere and our comments are heartfelt. It is our duty as parents, educators, and child advocates to dedicate ourselves to ensuring that schools remain a safe haven for children and educators. And as families of the victims of the Sandy Hook Elementary tragedy take to Capitol Hill to advocate for tougher protections, our position remains the same. Congress must do the right thing to improve school safety. 1) Contact your Senators to express disappointment in their failure to enact common-sense gun violence prevention measures. Despite public outcry, last week the Senate failed to enact the Safe Communities, Safe Schools Act of 2013. During consideration, multiple amendments were offered—and defeated—including those to increase access to mental health services and supports, reenact a federal ban on military-style assault weapons, and limit the availability of high-capacity magazines. Perhaps most disappointing was the defeat of the Manchin (D-WV)—Toomey (R-PA) bipartisan amendment to strengthen criminal background checks and extend them to the purchase of firearms at gun shows and over the internet. Although not universal, adoption of this amendment would have been a commonsense first step to keep guns out of the hands of criminals and protect our nation’s children. 2) Urge Congress to Enact the Bipartisan Mental Health Awareness and Improvement Act. Thousands of PTA members took action in support of the Mental Health in Schools Act earlier this year. Key provisions of that legislation to expand supports for school-based mental health services, championed by Senator Franken (D-MN), have been included in a legislative package that reauthorizes and improves programs related to awareness, prevention, and early identification of mental health conditions. In an act of strong bipartisanship, the Senate HELP Committee voted unanimously to report this bill to the Senate floor—and now we need YOU to urge your Senators to pass this bill, either as an amendment to S.649, or later as a stand-alone bill. Both of these acts are vitally important to gun violence prevention and to guarantee every child’s inherent right to a safe learning environment. For the last few years, our daughter, Mary Frances, has created a family calendar with photos. The project began as a way to help my mother, who suffers from Alzhiemer’s disease, remember her children, grandchildren, and great-grandchildren. Each of us, however, has found that the calendar serves as a reminder to us all of our connection and how we would be different people without it. At this time of year, we all tend to reflect on family and our precious connections to each other. Family is more than those we are related to by birth or choice. It extends to an ever-widening circle of close friends and colleagues—all those who touch our lives in a meaningful way. PTA is a family. We share not just a vital mission, but also a passion to make the world a better place for our children. That passion and our commitment binds us together as a family, and, yes, it can influence who we are as people. As long as I have been a part of PTA—and that is a rather long time—I have been told how we are, in every sense of the word, family. With any family, there are ups and downs, but there is also an indivisible connection. Our work on behalf of those who have no voice will never be done, but working in harmony, we will steadily move forward to ensure the best for every child. As I reflect this holiday season on the blessings in my life, I am thankful for my PTA family. We come in all shapes and sizes, speak many different languages, and uphold diverse traditions, but our connection is very real. It is embodied in a child. Whether it is your child, my child or the child of a complete stranger, we share a commitment to that child—to all children. Each of you in ways both large and small have shaped my life and made it richer. Your commitment and passion are my daily inspiration. Yes, we are indeed family and our PTA family, 5 million strong, will continue to change the world. May each of you enjoy the comfort and blessings of your family this holiday season! Somewhere inside each of us, especially when we are young, lies a budding artist. Fostering that creativity–nurturing that spirit to let our imaginations fly–is the very essence of educating a child. This past Wednesday (November 30th) the National Endowment of the Arts announced that it will lead a new federal level task force that will emphasize research on the arts and well-being at all stages of life. Chief among the departments involved is the Department of Health and Human Services. In an era of tightening school budgets that see funding for arts programs and classes eliminated or cut altogether, this is a much needed step forward in recognizing the importance of arts in education. Studies continue to endorse the well-known fact that when children express themselves through the arts, they are more likely to be recognized for academic achievement, more likely to participate in a math or science fair and more likely to be elected to a school office. Something PTAs nationwide understand well! That is why each year, hundreds of thousands of student participants in National PTA’s Reflections arts program can attest to how the arts impact their lives and their ability to express themselves. No child should be denied the chance to develop their talent or be denied an outlet for their artistic expression because of budget cuts. Thousands of PTAs across the country and in our military based schools overseas make it possible each year for our children to be involved in the arts through Reflections. Sadly for many, they may not have had the opportunity otherwise. As parents, PTA leaders, and members Urgent Blog Request, we commend the National Endowment for the Arts, the Department of Health and Human Services, along with the other federal departments that are working on this important research on the arts. We stand ready to assist them in any way possible! Every child in this nation deserves the chance to have a well-rounded education and to have the tools to reach their full potential as they grow into adulthood. The arts are a vital ingredient! Visit PTA.org/Reflections for more information about National PTA’s Reflections program and to find out how your PTA can participate in next school year’s program.